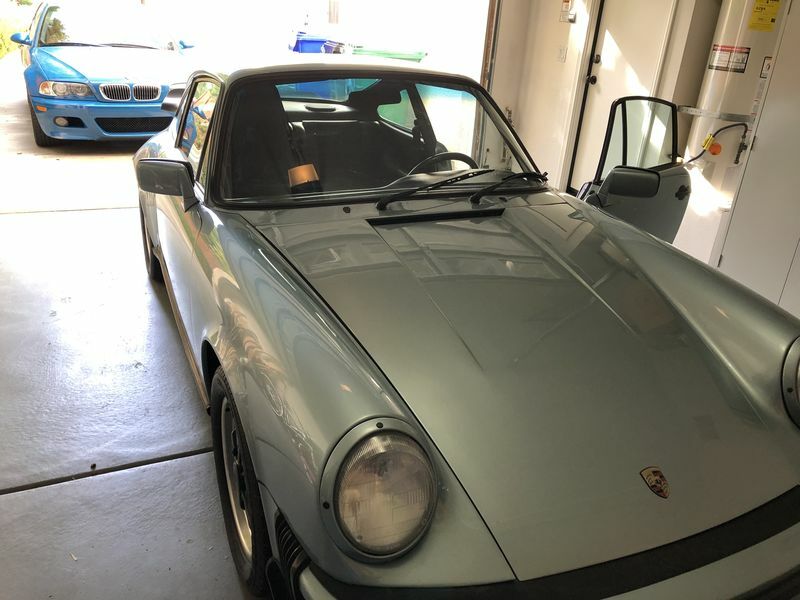 Any thought on what I should look for and recommendations of a shop in San Diego if anyone is local to the area. BLACK FOREST will take care of you. 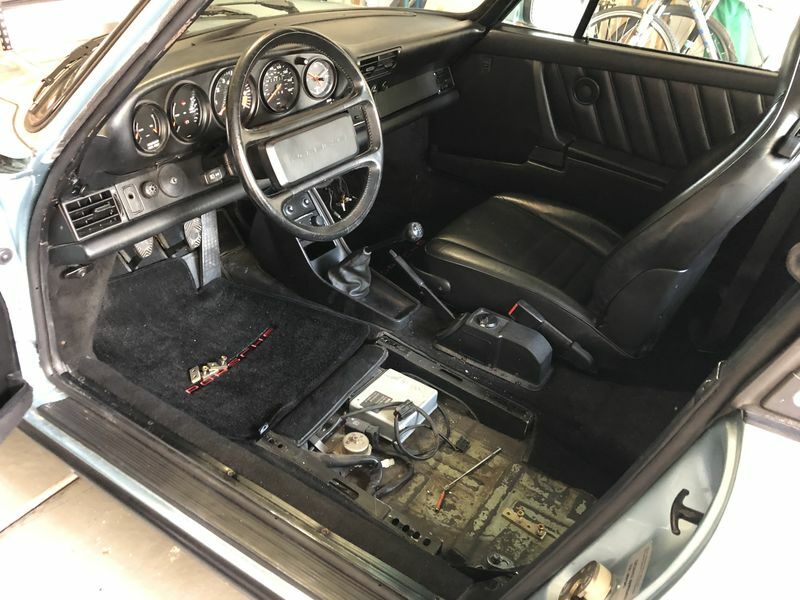 Thanks guys, I was also searching the forum and came across this old post too in regards to connecting the brown wire under the seat. I did that as mine was disconnected, then went on a good warm up drive to go retest but the shop was closed already. Perhaps tomorrow if they are open during the holiday. I'm also going to check the O2 sensor to see how old it looks. Black Forest looks good as near Kearny Mesa and the 163. 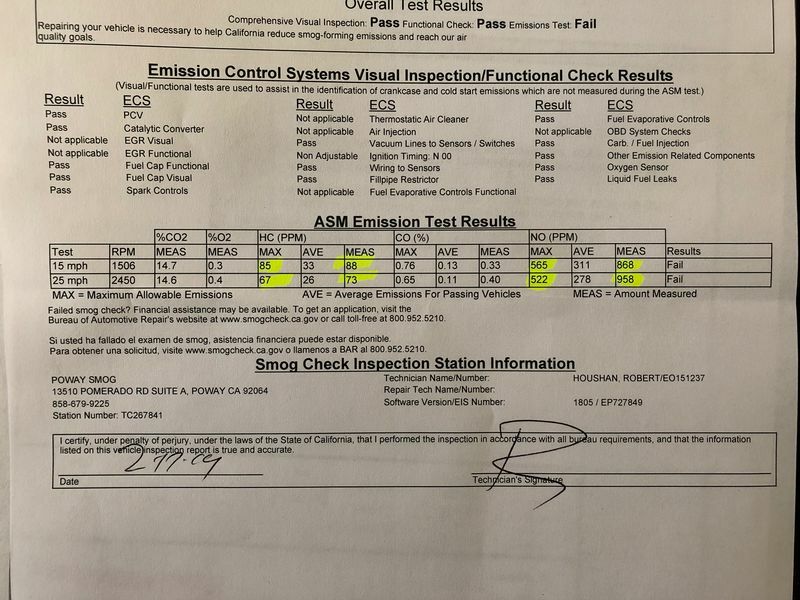 If you just reconnected a wire that is part of the fuel metering system, then it might make sense to just do another smog test. I'm reading from the other thread that it's a bridge ground wire? Do a complete tune up including valves, Put 40 pounds of air in the rear tires , change the oil, get it hot as hell before smog test!!! With mine it was the afm base idle running rich. Based on how out yours is, suspect the cat or badly out of tune engine. Did it pass ok last time? Don't forget pics of the car. I bought an 88 from Atlanta, and it didn't pass smog in CA either. Ended up needing a new cat. That was with the brown wire connected. So, just a data point that a 30 year old cat can be good enough for Georgia but not California. A replacement was about $850. Pretty sure that wire will not do it. It just runs timing a little more aggressive. The brown wire retards ignition. It will lower your cylinder temps which will lower NO. I dont think it will lower it enough to pass on NO with your numbers. Another thing is check the fuel quality switch is set at zero on the DME. 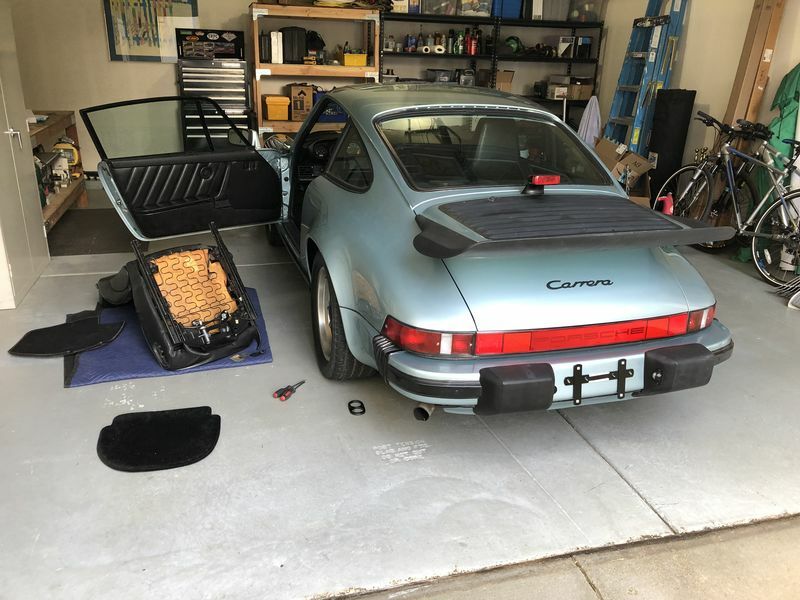 After 30+ years it’s worth checking that it hasn’t been adjusted. 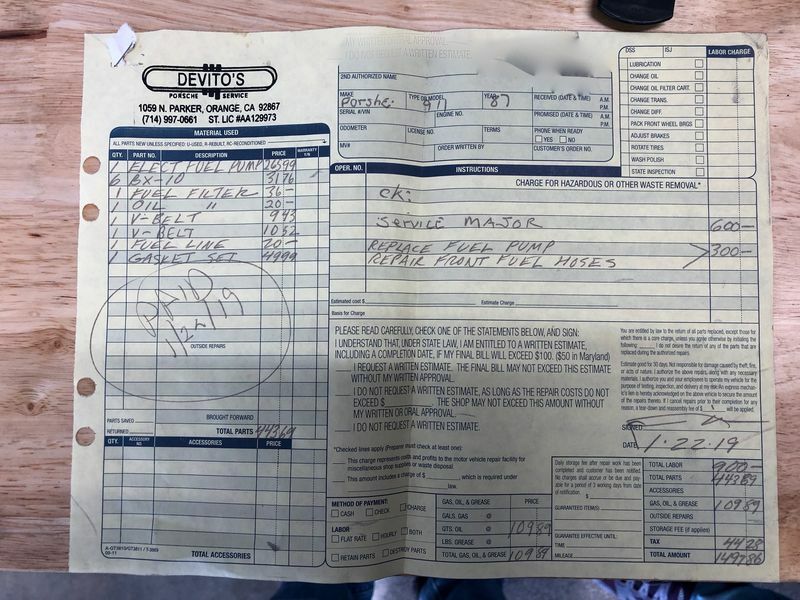 Invoice shows plugs but no cap, rotor or wires. If they were inspected and reused that’s fine. Yeah your right, looking at the cap I thought it was new but it's not on the invoice. The spark plug wires look original as the protective sheaths where they bolt over the fan are cracked with age. I'll post a photo of the cap and rotor later. Is the fuel quality switch inside or outside of the DME? Very likely the CAT is bad. But the slightly high NOx could also be one or more faulty injectors. A lean running cyl can cause NOx to go up. Then the O2 sensor sees the average O2 content from all 6 cyls, if one cyl is running very lean because of a clogged injector that will increase NOx and it will also cause the other 5 cyls to go slightly rich because the O2 sensor sees a slight lean condition because of the one lean cyl, the DME will then richen the other 5 cyls and then HC also goes up. Usually if NOx is high HC is low, but the above explanation is something to think about. A faulty clogged injector could result in both NOx and HC going up.